Dilorom Alimova is a Doctor of Historical Sciences (1991) and Professor (2002). Between 2000 and 2011, she worked as director of the Institute of History of the Academy of Sciences of Uzbekistan. Since 1997, she has been a member of the European Society of Historians (ISCAS), and since 2004, she has served as co-chairman of the International Association of Central Asian Studies (headquartered in Seoul). 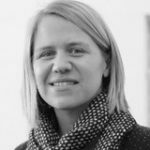 Since 2011, she has headed the Department of historiography, source studies, and methods of historical research at the Institute of History. She is editor-in-chief of Uzbekiston Tarihi. Valeriy Khan is a Doctor of Philosophy (1986) and Associate Professor (1992). He worked as an advisor to the rector and director of the Center for Strategic Planning of the National University of Uzbekistan, deputy director of the Institute of History of the Academy of Sciences of Uzbekistan, and chief specialist of the Center for Contemporary History. He has taught at the South Korean universities Hoseo (1998-2000), Hanyang, and Sonkungwang (2011). He has spoken at public lectures at leading universities in the United States and South Korea. Most of his scientific works are published abroad. He has represented Uzbekistan at more than 70 international conferences in 18 countries. Is there a sphere of scientific knowledge that would be captivating to all, from the man on the street to the statesman? After all, not everyone is interested in quantum mechanics or the structure of DNA. We would argue that not only does such a sphere exist, but that it also has a name: history. Debates about history take place on every corner, ranging from academic symposia and government cabinets to friendly gatherings. These discussions can heat into desperate battles, thanks to the inflammatory nature of historical questions. Who are we? Where do we come from? Where are we going? No individual, nation, or society can ignore these questions. The gravitational force of history renders its science entirely earthly. It constantly intrudes on our lives, often against our will. History becomes the wind that blows our sails toward the future. The wind we catch—that is, the way we understand history—largely determines the port of destination. In contrast to natural or technical sciences, history is related to the lives and destinies of humans. Each one of us believes we can understand it, and we each have our own opinions about any given historical event. The historical knowledge we possess—whether scientific or nonscientific—creates an atmosphere that determines values, worldviews, and behaviors, including in the field of politics. History becomes the wind that blows our sails toward the future. The wind we catch—that is, the way we understand history—largely determines the port of destination. If we take into account that the journey time to the desired port takes decades, then the price of travel is too high to discover that one was moving in the wrong historical direction. This is precisely why historical science and historical education have been of paramount importance since the dawn of time. However, history is not only a tool for forming scientific knowledge and spirituality. It can also be a weapon that destabilizes a society. This is why it is so vital to carry out periodic “audits” of historical science and historical education, to analyze their condition and the direction in which they are developing. 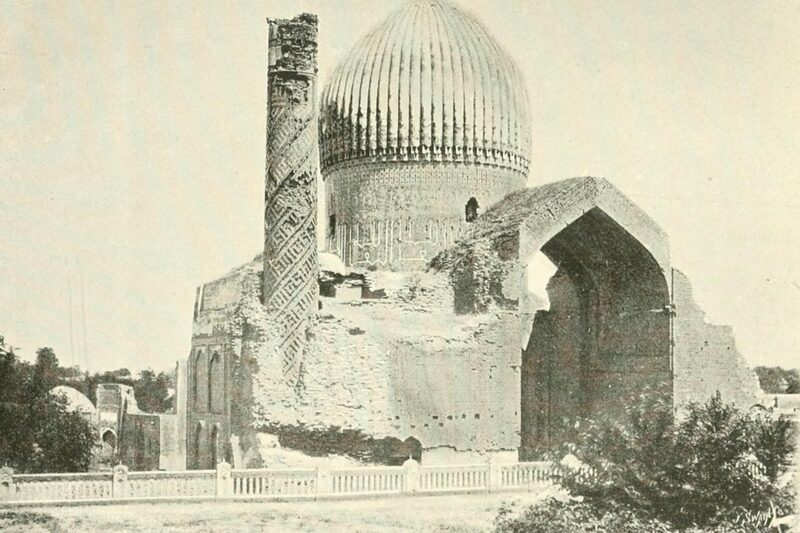 Over the last quarter-century, Uzbekistan’s historical science has seriously transformed. Yet achievements are only part of the overall picture. Discussing them without analyzing their shortcomings and omissions we exacerbate existing problems and impede the development of historical science. It is essential for us to talk about the state of our science and what needs to be changed in order to ensure its complete development. In Uzbekistan, the new President’s decrees on improving the activities of the Academy of Sciences (on February 17, 2017) and the higher education system (as of April 20, 2017) offer new perspectives on the development of science and education. The first document confirmed the principal role of Academy of Sciences in developing and coordinating scientific research. Institutions that had previously been dispersed across universities came together again in the Academy of Sciences, which has regained its role as the center of fundamental sciences. This reorganization is essential for understanding the Institute of History as an academic institution, which should be the center of fundamental research and act as a vector for historical education. The problems facing historical science today can be assessed from two main standpoints: their formal-organizational structure and their meaningful development. On the first point, the status of the Institute of History as a national integrative center with various functions has fallen. In what way did this manifest itself? Over the past few years, the number of employees of the institute has decreased. The Department of Material Culture, which was in charge of ancient history, has ceased to exist and merged with that of medieval history. This unification cannot be justified, since ancient history extends hundreds of thousands of years B.C, while “medieval history” runs all the way to the middle of the 18th century. Let us imagine a discussion regarding two dissertations, one of which is devoted to the discovery of Neanderthal man in the cave Teshik-Tash, and the other to the Kokand Khanate. In the first case, some members of the department (specialists in the 18th and 19th centuries) will be irrelevant and their presence simply unnecessary. The same is true of the latter case, where Stone Age specialists would have little to say on the Kokand Khanate. It also makes it difficult to determine a general theme for the department. On top of that, this incompatibility produces an inevitable conflict of interest within the department, especially on the submission of grant projects. Furthermore, projects are unequally financed. The research on such a massive period as the “Middle Ages” (stretching from the 5th to the 18th century for Uzbekistan) has the same budget as research on the Soviet and post-Soviet periods—and in some cases less. Such disproportions lead to a reduction in the number of experts on the Middle Ages, particularly because the training of professional scholars in this field is an extremely difficult and lengthy process, since it requires the study of ancient Eastern languages and the ability to read manuscripts. As for contemporary history, in many countries, its study is a task reserved for specialized centers or centers of political science, international relations, and other disciplines. It is no coincidence that the presidential decree of June 30 of this year (as well as the earlier one, dated January 27, 2012) stipulates the creation of a Coordination and Methodological Center on the Contemporary History of Uzbekistan under the Academy of Sciences, with a separate funding budget. Thesis defense plays a critical role in shaping and approving new research directions. 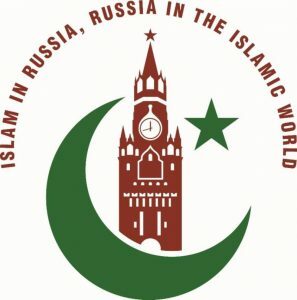 Before 2012, theses were approved at meetings of the Republican Coordinating Council at the Institute of History, and defended in specialized councils at the Institute of History and the National University of Uzbekistan. Since then, the approval of topics has been handed over to the State Committee for Science and Technology, and the two councils have been merged and transferred to the National University. What results has this change brought about? It is no secret that increases of workloads, all sorts of assessments, and increases of accountability in higher education institutions over the past 10-15 years have resulted in teachers spending all their time writing lectures, manuals, reference, and reports, thus limiting their involvement in research. Who bears the main burden of the workload and bureaucratic process? The answer is simple: the youth, who do not yet have their own voices, but of whom breakthroughs in academia are expected. Yet, one might not force an athlete to dedicate his days to unloading trucks and then expect outstanding results on the racetrack. In view of committee chairs’ workload, preparatory work with PhD candidates has been reduced to a minimum. Not to mention the fact that thesis defense itself is only the final result, preceded by intensive work over several years. Previously, prior to his defense, each applicant was individually discussed in the departments of the Institute of History. We are far from idealizing the quality of dissertations, but intense discussions with candidates raised the level of dissertations in line with the Higher Attestation Commission’s requirements. After the task of approving dissertation themes moved from the Coordinating Council at the Institute of History to the State Committee for Science and Technology, approval of topics became formal and largely impersonal. The applicant submits the topic to the State Committee, after which he or she either receives a positive response or is being offered a different topic. Typically, this newly formulated topic is announced through the academic secretary of the organization in which the applicant works. Perhaps such a system is effective elsewhere, but not in social sciences. As often said, “a well-defined problem is half solved.” Hence, the formulation of a research question is the most important part of the entire PhD process. While this process was handled by the Coordinating Council, the applicant was asked questions and was required to prove the scholarly consistency and novelty of the selected topic. The meetings were place for deep discussions, and the prerogatives of the chosen supervisors by no means guaranteed that a topic would be accepted. The young members of the Council had the opportunity to oppose the aksakals (elders), and the chairman of the Council was also criticized. As a result, some topics were not approved. The thesis and his supervisor had to go back to the drawing-board and begin the defense anew. It is in such a frank and critical atmosphere that thesis defense should be held. This may not yet be a sufficient condition, but is a necessary one for the formulation of research questions in academia. We believe that the creation of the Agency for Science and Technology under the Cabinet of Ministers (resolution of February 17, 2017) will allow us to take a new approach to these important administrative mechanisms and help us determine priority areas for the development of academia. Why does an engineer need history? And where does the subject of history stand in the educational process? Over the past decade, Uzbekistan’s university system has seen a reduction in the number of hours allocated to history. The justification for this is that history is taught in schools, lyceums, and colleges. However, unlike schools, which focus on mastering factual information, higher education pursues a different goal—to teach historical thinking. This means learning how to identify cause-effect relationships in a multitude of events and processes, approaching the latter as complex phenomena which have multiple dimensions and evaluations. It is these qualities that are in demand when, after graduation, a future specialist is confronted with tasks that are not related solely to his specialization, but also to broader societal questions. This is especially important in our globalization time. We are not only engineers or medics, but also citizens of Uzbekistan, carriers of its historical legacy and values. The way in which Uzbekistan’s voice is represented on the world stage is a matter of national importance. In politics, this mission is referred to as being a “cultural ambassador” of one’s country. To answer the question of the extent to which we need to ensure that history and other humanities are taught in universities, let us present some data. In technical universities in the United States and the United Kingdom, the humanities represent up to 30% of courses—and this is not about the mere number of humanitarian disciplines. The question is as follows: why does a “technocrat” need history, philosophy, or literature? The answer is simple: to develop the humane in a human. As specialists, projecting the future state or civilization that will replace the technogenic society in which we live requires an understanding of people and their behavior. To put it another way, man should be the main development indicator. In everything we do, we must stand for the needs and interests of the people. This meshes well with Uzbekistan state policy: 2017 has been declared the Year of Dialogue with the People and of Human Interests, focusing on the development of humanity. We are in need of humanization and humanitarization of education along the lines of developed countries. This is not a mere formality, but a fundamental rethinking of the role of social sciences in shaping our society. During his presentation of the iPad in 2010, the founder of Apple, Steve Jobs stated, “It is in Apple’s DNA that technology alone is not enough—it’s technology married with liberal arts, married with the humanities, that yields us the results that make our heart sing”. What happens in historical science from the point of view of the development of its content, new ideas, ability to master modern methodologies, ensuring competitiveness at the international level? Undoubtedly, during a quarter of century of independence, all social sciences have undergone profound changes. These have been new discoveries, new areas of research; new archival documents have come into circulation. On the other hand, one can also notice a certain provincialism and detachment from world practice. Of course, the assessment of the state of various disciplines must be approached differentially. For instance, archeology or medieval history is traditionally at a high level in Uzbekistan, and many of its representatives are internationally renowned scientists (M.E. Masson, G.A. Pugachenkova, Yu. F. Buryakov, E. V. Rtveladze, and others). Other branches of historical knowledge are often weaker, especially contemporary history. Many domestic publications are for instance characterized by an adherence to Soviet thinking and terminology: excessive enthusiasm, clichéd slogans, tendentious selection of facts. The President of Uzbekistan has outlined his attitude to the varnishing of reality in the media by denouncing “hurray patriotism”. This position can be fully replicated in social sciences. As in the Soviet period, many studies are characterized by a one-colored lens. Events are viewed through a black and white prism. Work covering the Soviet period are often very critical toward it. Yet, we are often too keen to “throw the baby out with the bathwater,” discounting the significant progress made in almost all areas of life—industry, construction, education, science, and culture—and led by our people during the 20th century. As for studies devoted to the history of recent decades, although they positively assess the country’s development since independence, they contain barely any analysis of problematic situations. One of the most important shortcomings of publications on social sciences is the absence of references to foreign studies. Many Uzbek social scientists have a rather vague idea even about the state of literature in their field, and cannot therefore integrate their own production into world knowledge. To substantively improve knowledge of foreign literature, we have to undertake a purposeful and large-scale translation of these works into the Uzbek language. Are the most significant works of outstanding philosophers (such as Descartes, Spinoza, Kant, and Hegel) or more contemporary thinkers (Karl Popper, Erich Fromm, Martin Heidegger, and others) translated into Uzbek, let alone publications of their collected works? One can find some translations of ancient philosophers, but this work has not been carried out at a structural level by the state. To have a degree of PhD or a Doctor of sciences in the field of philosophy without being able to read the works of great philosophers means being anything but a philosopher, and holding an academic title will not change this situation. We are still waiting for the translation in Uzbek of classical works of historical science, for instance by Robin Collingwood, Fernand Braudel, Marc Bloch, and Lucien Febvre. The same can be said for ethnologists: not only students, but also established scholars have not read the works of Bronislaw Malinowski, Claude Lévi-Strauss, Fredrik Barth, or Benedict Anderson. Previously, this situation was swiftly resolved, since any given classical work could be found in Russian. Today, however, many students do not know Russian or know it only at the vernacular level, which is not enough to read scholarly works. The revival of knowledge of the Russian language among students is another important task, without which it is unlikely that progress will be made in the social sciences. The latter is especially important for historians. The last 150 years of our history, stored in archival collections, is documented in Russian, and a profound and thorough account of this period is hardly possible without deep reliance on these documents. The problem is not only that we do not know foreign scholars’ works well, but also that we are poorly known abroad. Of more than 1,000 established social scientists, the works and ideas of only 20-30 people are recognized. Under such circumstances, it is difficult to discuss the integration of domestic academia into the international scholarly space. It is enough to take foreign works devoted to contemporary Uzbekistan and count the number of references to our social scientists. The result is more than modest. It turns out that our publications on new and current history—of which their authors are probably proud—are simply unknown to scholars of other countries, and so they lose their value by becoming a product of domestic consumption alone. Integration into world science or isolation? The lengthy procedure of obtaining permission to leave (internal commission, the decision of the parent organization, the recommendation of the Ministry of Foreign Affairs) complicates the integration of our science and education into international space. Meanwhile, the presidential decree of April 20, 2017 sees this integration as a priority direction of state policy. It is therefore necessary to simplify the procedure for researchers to make trips abroad (as well as for foreign researchers to visit Uzbekistan) as much as possible. Let us offer an illustrative example. In 2015, the 14th Congress of the European Society for the Study of Central Asia (ESCAS) was held in Zürich, Switzerland. The number of reporters from Kazakhstan was three times higher than those from Uzbekistan. The section “History of statehood in Central Asia” was presented by Kazakh researchers alone. Considering that in our country, the theme of statehood is one of the priority directions of historical science, where were the Uzbek researchers? Many did not receive permission to leave from their universities, which likely considered participation in such congresses a form of entertainment. 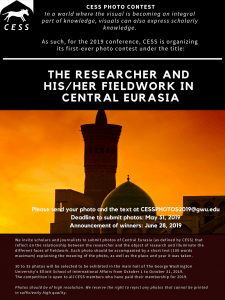 In 2016, Princeton University hosted the 17th annual conference of the Central Eurasian Studies Society (CESS), in which almost 300 speakers from different countries took part. The number of Kazakh researchers exceeded those of Uzbekistan by seven times. The participation of our researchers in such important fora is a matter of national prestige, since it concerns the influence of Uzbekistan in world academia. The promotion of domestic researchers abroad can only happen with state support. Here is another question—the question of thematic diversity in our social sciences. In a number of sciences, it has become the norm to follow the well-trodden paths created by one’s predecessors. When one looks at the array of themes of dissertations, books and articles on a given discipline abroad, one marvels at how much they contrast with our subjects. We need to carry out an inventory of research topics and direct efforts to eliminate gaps. The disciplinary isolation of the social sciences must be overcome, too. Historians are not aware of the works being produced by philosophers, ethnologists only have a vague idea of the achievements in the sphere of psychology, etc.—and this is despite the fact that interdisciplinarity is one of the most important aspects of modern academia. In natural sciences, this is manifested through subjects such as biophysics, geochemistry, and geophysics. Interdisciplinarity has also been established in historical science through historical anthropology, sociology, geography, demography, cartography, anthropometry, and quantitative history. Modern historical research uses methods and understandings drawn from psychology, semiotics, modeling, mathematics, and synergetics. But it remains difficult to say which of these interdisciplinary directions have been adopted by Uzbek social scientists. Many publications have a secondary and commentary character. They seldom demonstrate independence of thought, display creative and innovative approaches, or make analytical forecasts. These works are aimed not so much at solving the complex problems facing our society but at retroactively substantiating the current policy, congesting it with quotations. We refer here to systematic over-quoting, which flourished throughout the Soviet era and in the post-Soviet period and, above all, revolved around quotations from the writings and speeches of the country’s leaders. Discussions surrounding such a matter may appear too delicate to some and have even acquired the status of an unofficial taboo. Yet, the future of our scholarship depends on the resolution of this issue, and thus it requires our understanding. It is well known that in social sciences, the actions and speeches of heads of states, political leaders, and historical personalities are important analytical resources. It is therefore impossible to discuss any given process in Uzbekistan without referencing the actions and speeches of the president, which initiate and determine policy. Yet, these speeches should be studied as object of research. However, promoting genuine research is offered not through the search for “suitable” quotations, but through the substantial and responsible involvement of the academic in solving the problems with which the head of state addresses the academic community. It is also necessary to eradicate dilettantism and profanity in academic work. But how to get rid of them and create drivers for the progressive development of science and education? How to make sure that true scholars receive support, and that those who cozy up to science and education feel uncomfortable? Firstly, we need to move away from the idea of settling and create a competitive environment, with a system of incentives in order to inspire highly productive academic and pedagogical work. One attempt to create a competitive environment came in the early 2000s, when the Academy of Sciences—following an internationally established approach—introduced grants from the State Committee for Science and Technology. However, the initiators of this transition did not take into account that in foreign countries, grants are not the principal, but an additional form of financing of research! For example, a professor is entitled to a salary at a university and can additionally apply for a grant. Upon the creation of the grant system, our universities found themselves in the same situation as foreign ones: professors received wages and simultaneously applied for grants. The institutions of the Academy of Sciences found themselves in a completely different situation: their employees were paid only if they were participants in a grant project. Take the Institute of History, for instance. Its departments study history from antiquity to nowadays. These departments apply for grants. Let us imagine that one such grant failed to pass or was sharply reduced. So, what now—do we close the department? Omit learning antiquity or contemporary times? That would make it impossible to study the entire history of Uzbekistan. And what should the director do? The only correct solution is to, at his/her own risk, preserve the employees whose grant had not passed by putting them on the funds of other departments (at reduced rates, of course). By relying solely on grants, the research of the Academy of Sciences turns into an eclectic collection of heterogeneous and short-term projects, which deprives them of any systematic and long-term effectiveness. A constant alternation of projects results in a situation where employees are willing to tackle any given topic just so as to remain part of a project. And what if their previous experience and qualification does not correspond to the given project? This eventually becomes meaningless: the academic ceases to ponder over his place and responsibility in science, instead developing the mindset of a temporary worker. This hinders continuity. In such conditions, it is difficult to rely on the gradual accumulation of achievements or any breakthroughs. We are convinced that it is necessary to preserve the systematic nature of research, as well as the staff continuity of the Academy of Sciences. This can be achieved only with constant and direct state funding. At the same time, grant system will ensure the competitiveness of research teams and concentrate financial resources on certain priority areas. Then, universities and research institutes will be at the same level. A competitive environment should be created not only among research teams, but among academics themselves. And here it is important to change the criteria for assessing and stimulating academic and pedagogical work. In world practice, it has long been established that scholars with the same degree at times receive varying salaries, depending on some measurement of their academic “efficiency”. If we want talented young people to go into historical science, we also must pay attention to strengthening the prestige of the historian. The significance of history lies not only in its lessons or knowledge. It is about history as capital—intellectual, political, cultural, and even economic. Until now, the potential of historical science to create discursive brands in Uzbekistan has not been deployed. Again, this is a task of national importance, when all countries are struggling for their share of the world information space and for being positively perceived. It results in the development of tourism, historical cinematography, investment flows, the export of national culture and therefore of soft power to other countries. The use of historical science has the power to change many things: the perception of the country by other peoples, its status among peer states, the way youth believes in its country, and our future. Perhaps this is exactly why history is so important to all of us… from commoner to statesman. “On measures to further improve the activities of the Academy of Sciences, organization, management,” Resolution of the President of the Republic of Uzbekistan No. PP-2789 of February 17, 2017. The question of interethnic relations around the world has become increasingly acute; hundreds of monographs and thousands of articles have been devoted to the matters of ethnicity and ethnic minorities. It is no coincidence that the Republican International Center was recently transformed into the Committee on Interethnic Relations and Friendly Relations with Foreign Countries. Uzbekistan is a multinational state, though the ethnic groups that inhabit it have never been the subject of systematic study. It is necessary that the Department of Anthropology and Ethnology of the Institute of History include ethnopolitics and the study of the ethnic diversity of Uzbekistan in its thematic scope. Labor Migrant Households in Uzbekistan: Remittances as a Challenge or Blessing?